TechStars is an entrepreneur boot camp similar to Y-Combinator's twice annual boot camp. TechCrunch reviewed the TechStars program earlier this year. TechStars selected 10 teams from a pool of more than 300 submissions. They funded them with up to $15,000 per team, provide office space, operational support, and mentorship from former entrepreneurs and business leaders. TechStars takes a 5% equity position in each company. The teams moved to Boulder for the 3 month summer session. They work together in a large open office with each team working around a table of 2 to 4 people. There is lots of collaboration between the teams and evening group sessions several times a week. I was there earlier this week with Dan'l Lewin, Corp VP of Microsoft, and my colleague Dave Drach from the Emerging Business Team. 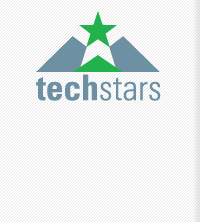 TechStars is the brainchild of Brad Feld, David Cohen, Jared Polis, and David Brown. They provided the money, offices, and mentor support for the companies. StickyNotes - A post-it-note type app for Facebook. One of the top 50 Facebook apps, over 250,000 users signed up in just two weeks. IntenseDebate - A way to track and manage blog comments. It includes a reputation ranking system and usage statistics. SocialThing - A way to consolidate all your digital content; blogs, photos, music, friends, links, in one place. Leverages the content on existing social sites and provides a layer of functionality on top of them. MadKast - A new way to share (push) blog posts with friends. It is a widget that can be placed on a blog to allow readers to send the blog post to friends in their network. BrightKite - Notifications via email, IM or SMS. The notifications are all about location or what they call "place-streaming". Streaming content about a "place" from a "place". It could be used for conferences, events, or public places. EventVue - Social networking for conferences and trade shows. Allows attendees to find each other and network during and after the conference. In private beta. I will check back with these companies at the end of the summer to see how much progress they have made. There is a very good chance that several of these startups will move up to the next level and be ready for seed stage funding. Thanks for the link, Don. It was great to meet you and the rest of the Microsoft guys. Come back to Boulder soon. It was great having you in Boulder. Thanks for taking the time to hang out with us. It was a great session and I got a lot out of it.